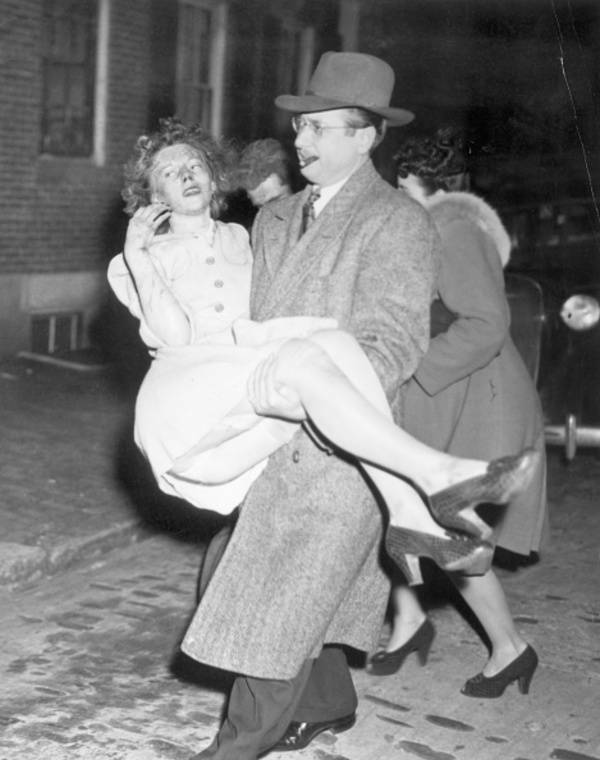 Two men carry one of the fire's victims to safety. 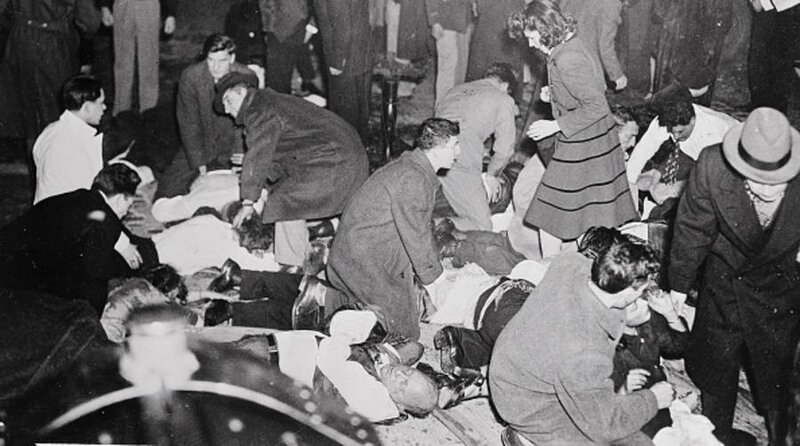 Dead and injured victims lie on the street outside the club. 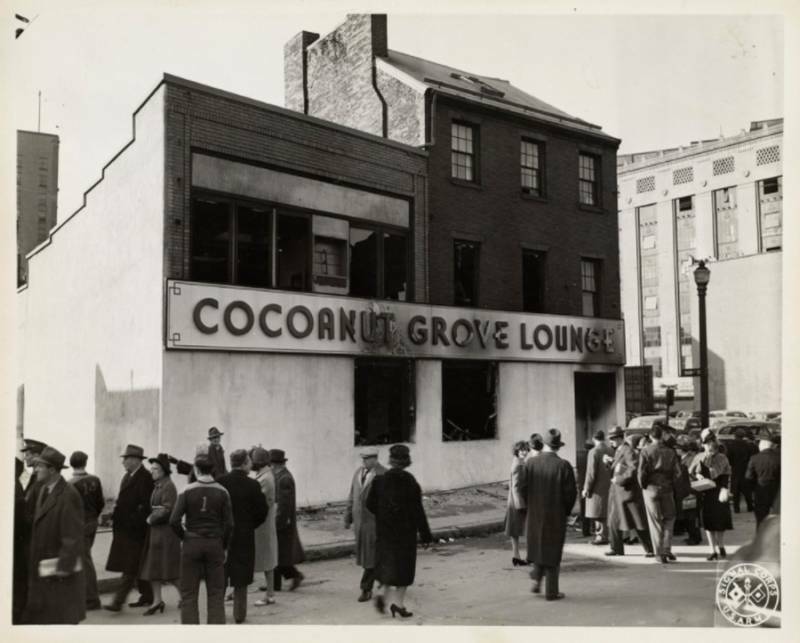 Police, firemen, reporters, and the curious gather at the entrance to the Cocoanut Grove. 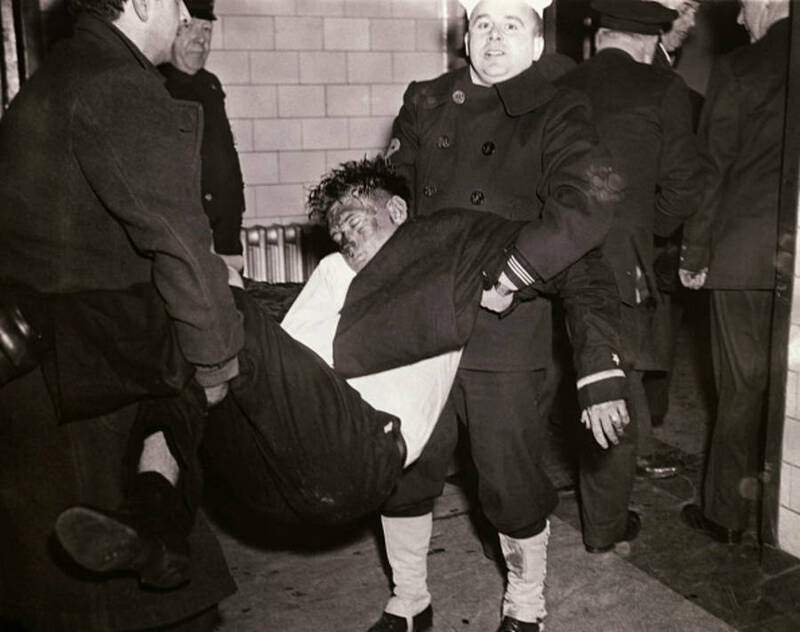 A civilian volunteer carries a victim to an ambulance. 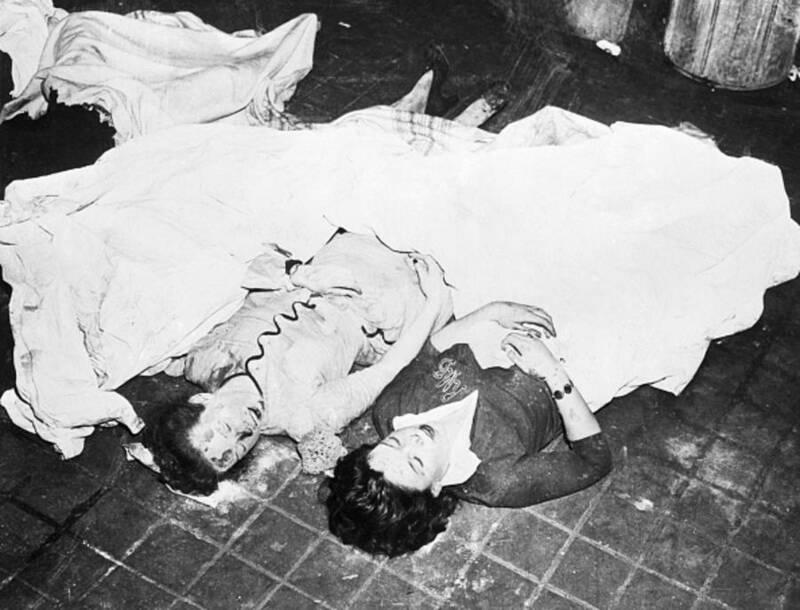 Two unidentified victims of the fire lie on the floor. 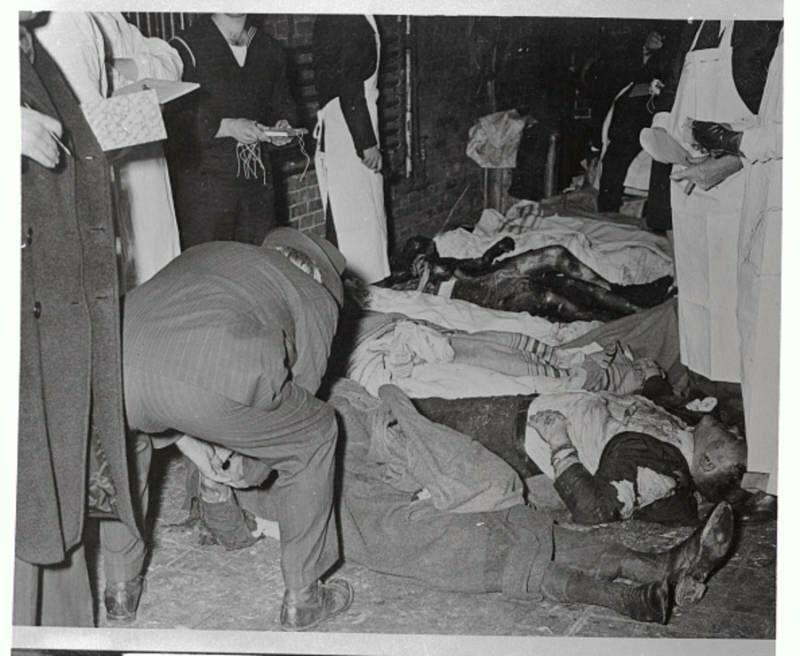 [Original caption excerpt] Dead, dying and injured lie in street outside Cocoanut Grove while civilians and doctors administer aid. A girl walks in horror through the prone victims, seeking a loved one. 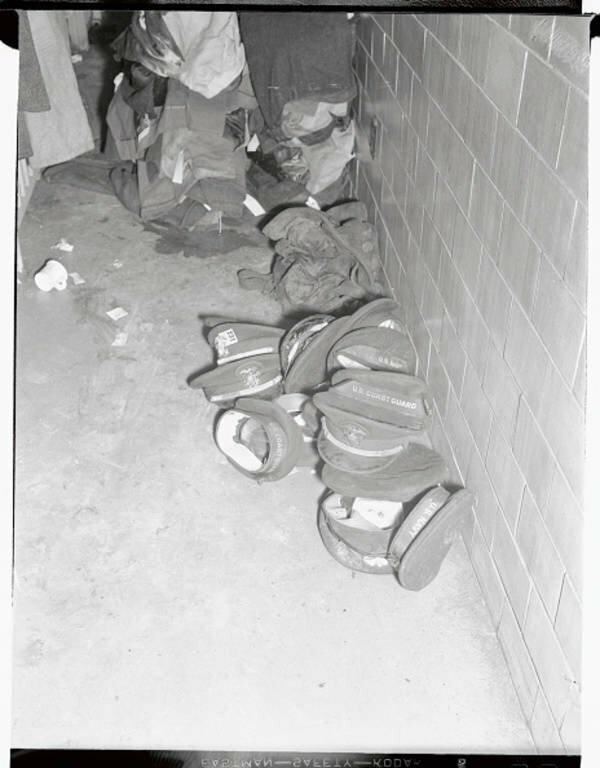 [Original caption excerpt] Here, in a photo taken shortly after the holocaust, firemen, priests and service men stand by the rear entrance to the night club, most of them numbed by the terrible sight of charred and broken bodies being carried through shattered windows and doors. 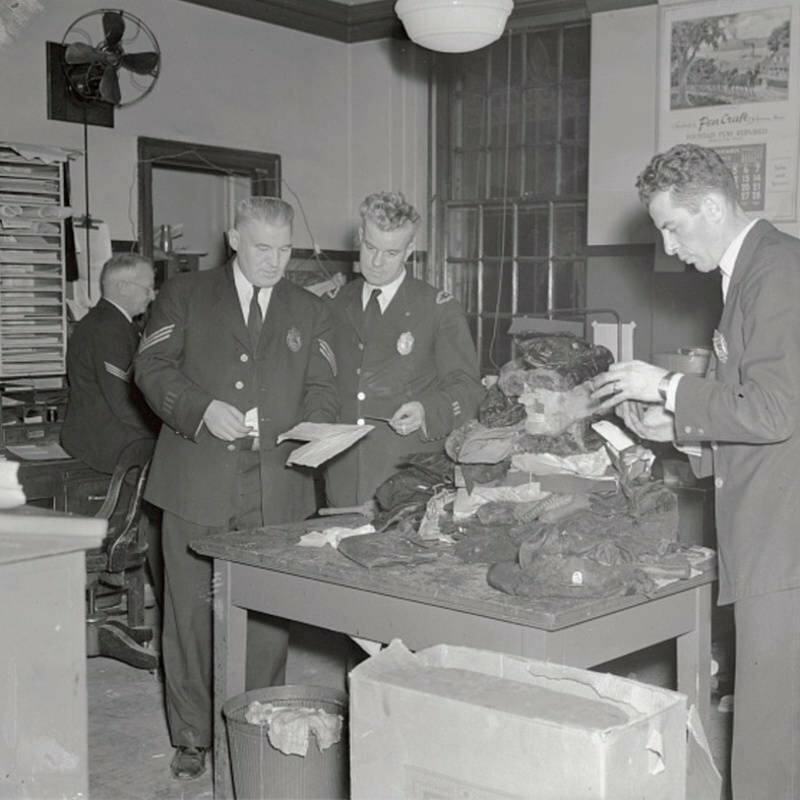 Police examine the pocketbooks of female victims in an effort to identify the owners. Most such efforts were unsuccessful. 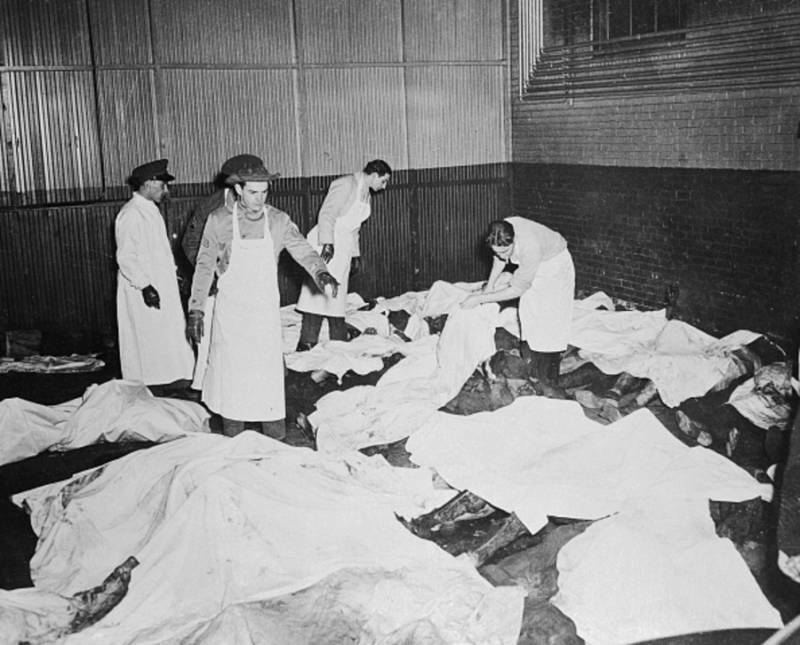 Workers identify victims at the morgue. 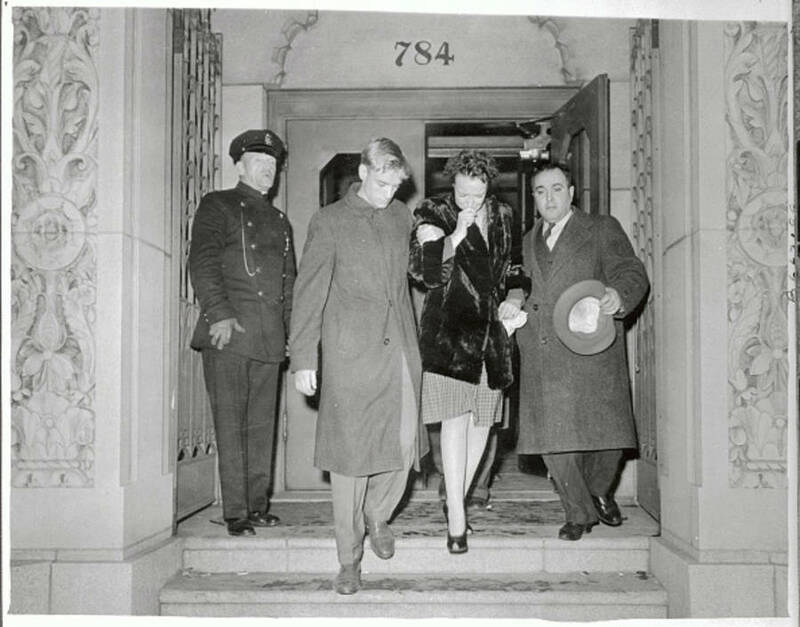 [Original caption] The hats of servicemen, gaily checked Saturday night at the Cocoanut Grove Night Club, now may be the only identification of their wearers, on that tragic night. 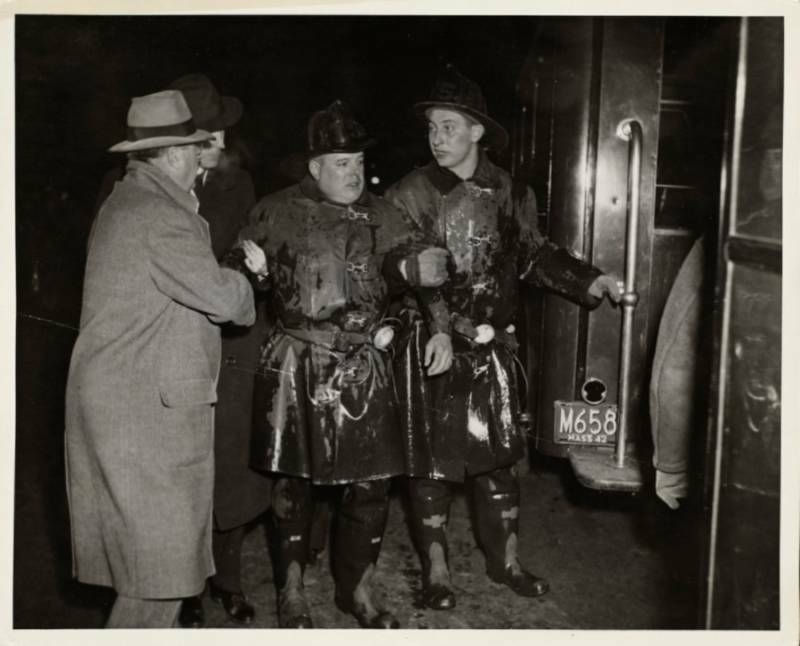 They are oiled up at the Boston Police Station awaiting further inspection. 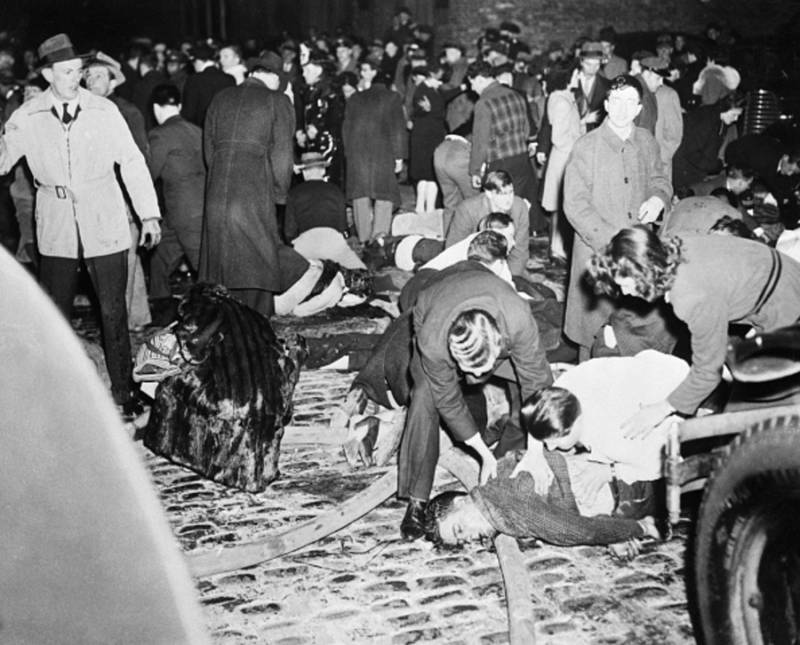 A group of firemen, civilians, and uniformed men stand around a victim of the fire as a priest administers last rites. 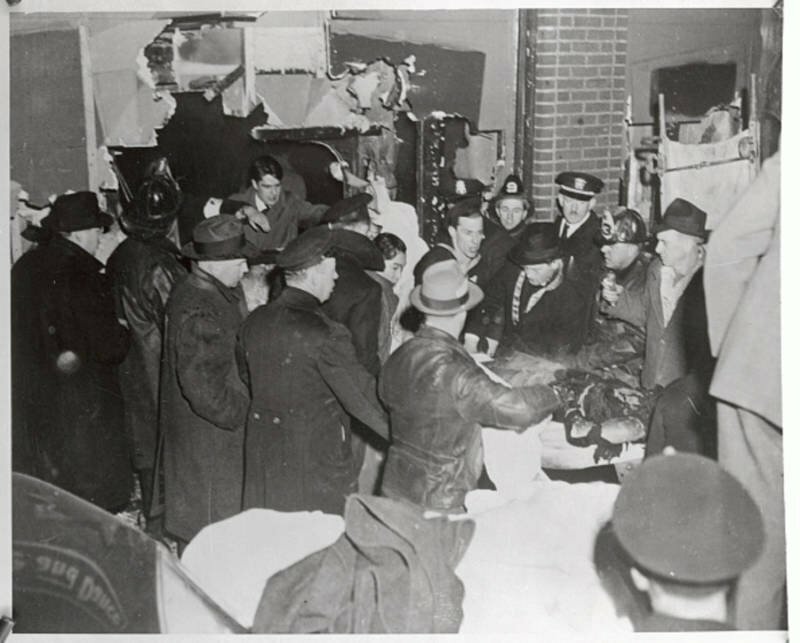 Relatives leave a mortuary after identifying the bodies of loved ones taken from the charred ruins of the Cocoanut Grove. 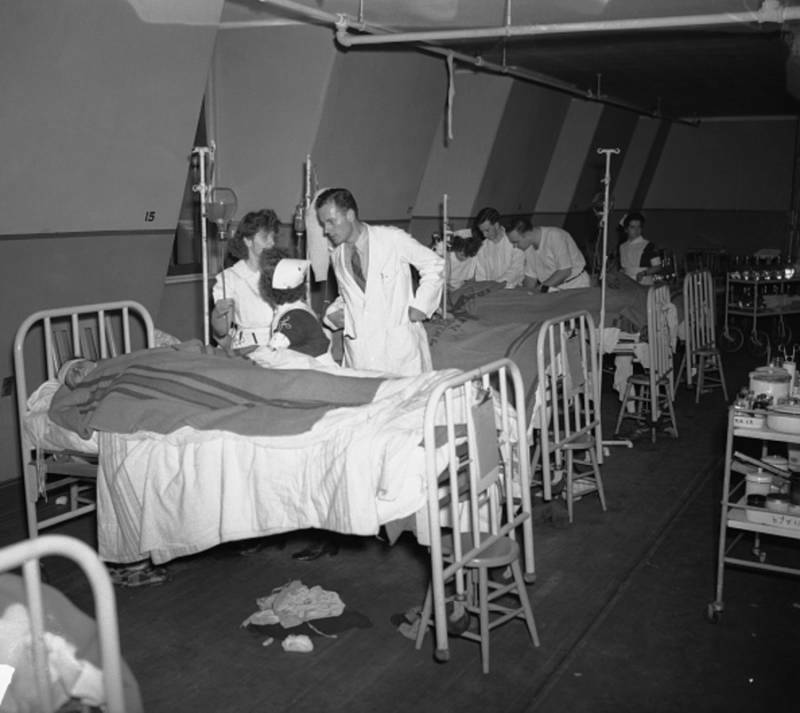 Wards and rooms of Boston Hospital were filled to capacity with victims of the Cocoanut Grove fire. 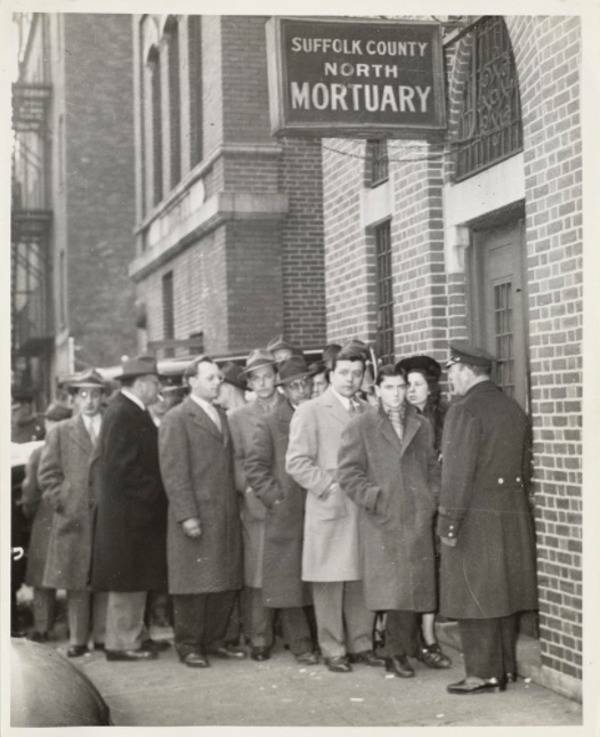 A crowd outside the mortuary waiting to identify their loved ones. 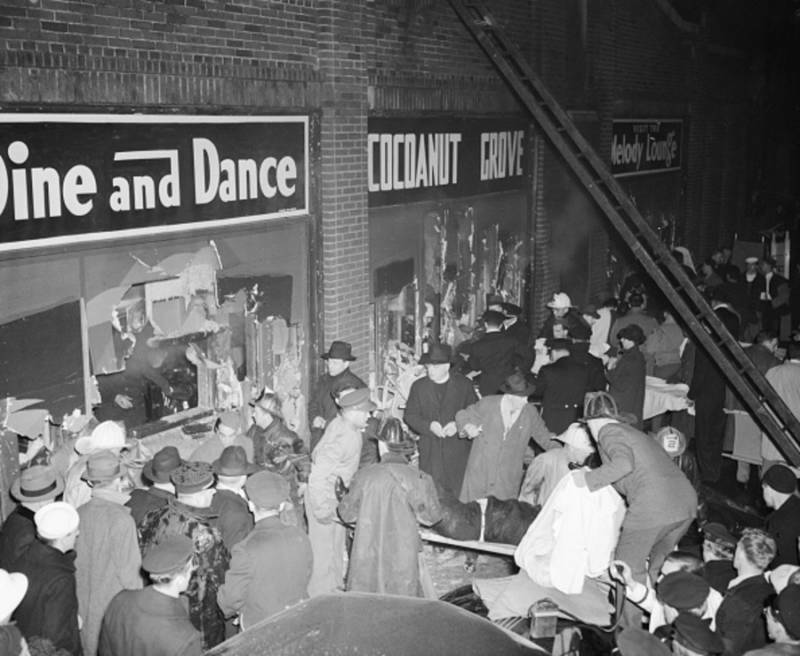 The exterior of the club after the fire. 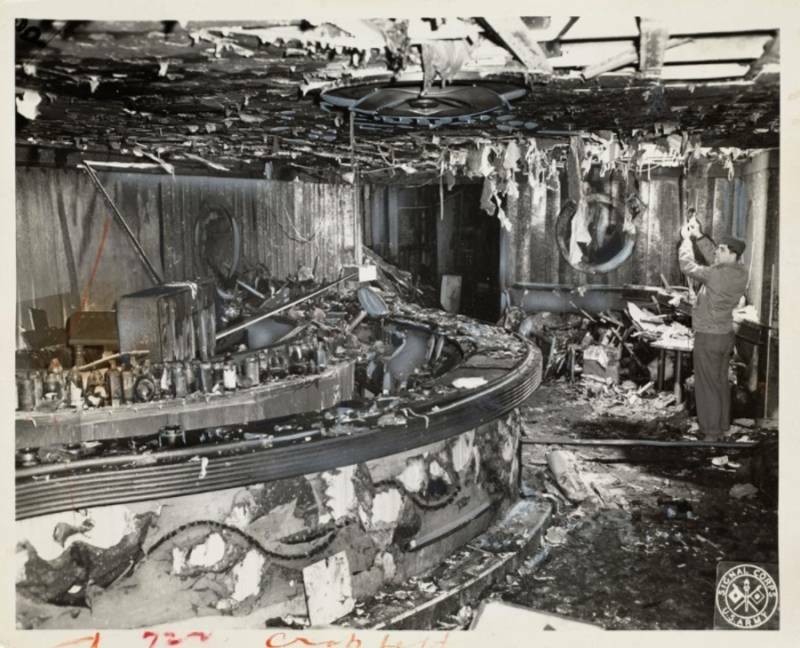 The destroyed interior of the club after the fire. 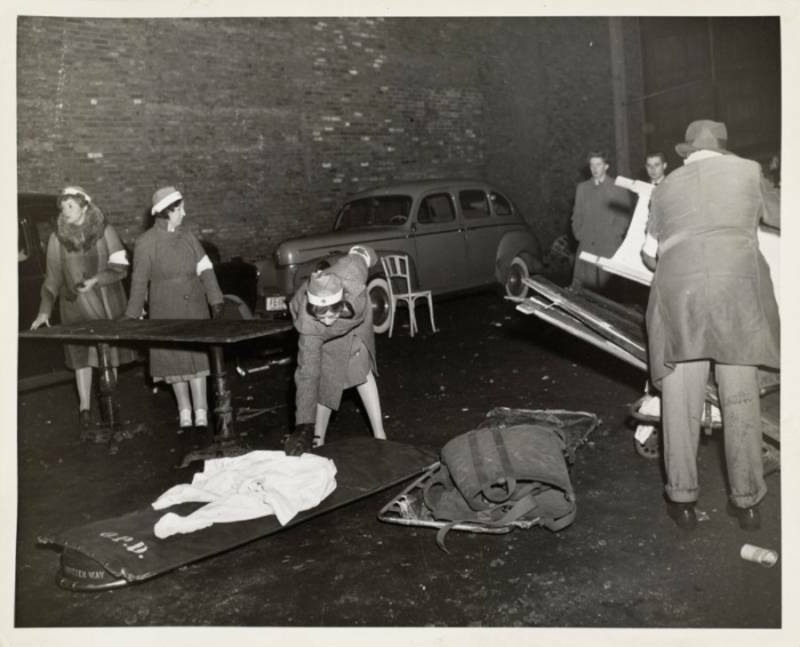 Nurses at work in the aftermath. 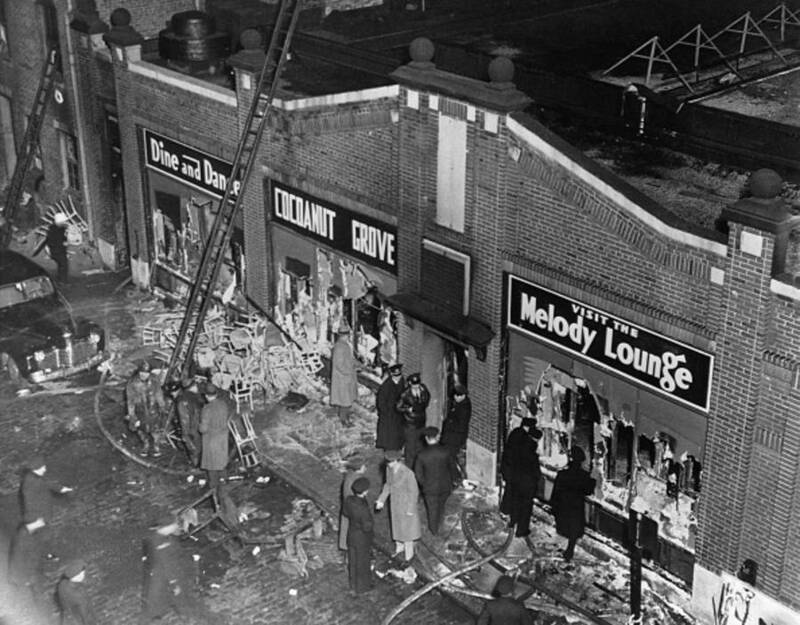 Firefighters stand outside the club amid the chaos. 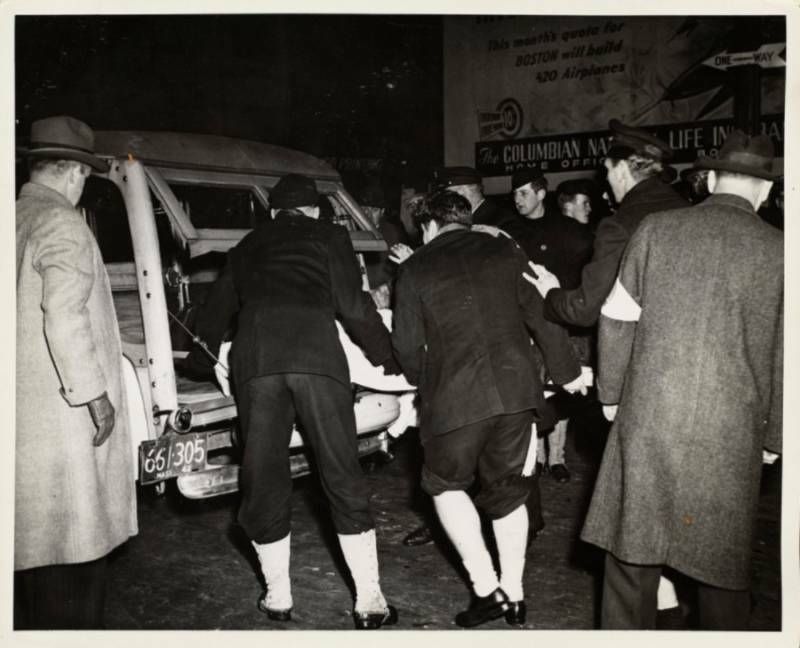 Workers carry a victim into an ambulance.